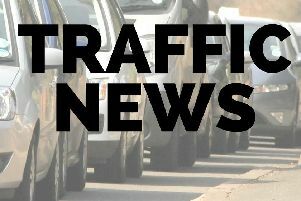 There are still delays of up to two hours for motorists between J15 for Warwick and the M42 after the accident at around 12.15pm. All three lanes were shut originally as recovery workers cleared up the debris with one of the lorries hitting the central reservation. West Midlands Ambulance Service said one person was assessed at the scene but they only suffered minor injuries.